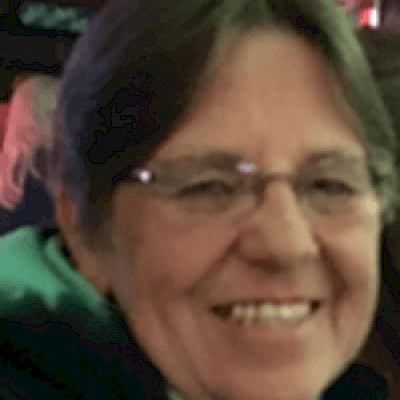 Debra Lynn (Haley) Lauritsen (59) passed away unexpectedly on April 10, 2019 at the Cumberland Hospital, Cumberland, WI due to complications caused by her cancer. Debra was born October 7, 1959 to Elvin Haley Sr. and Rosella Groehler in Amery, WI. Debbie grew up in Volga, WI and later moved with her family to Turtle Lake, WI where she graduated from High School in 1978. She married Lynn Lauritsen on August 3, 1980. To this union their daughter Laurali was born. Lynn and Debbie later divorced but remain close friends until his death in 2009. Debbie remained in the Turtle Lake area, making a home with her life partner Michael Williamson. Debbie was employed at SMC in Amery WI for many years and later at the Turtle Lake School. She was an avid gardener and loved to travel to Madeline Island and other spontaneous vacations with family and friends. Her biggest joy was spending time with her grandchildren Dakota, Trace and Haley. Debbie is survived by her daughter Laurali Lauritsen, her life partner Michael Williamson, sister Sandra Haley, brothers Gary (Dianna) Haley and Mark (Dotty) Haley, sister Pamela Haley, three (3) Grandchildren – Dakota, Trace, and Haley and many nieces, nephews and extended family members. She was preceded in death by her parents Elvin Haley Sr. and Rosella (Groehler) Haley, her brother Elvin Haley Jr. and Cynthia Haley-Larson and husband Lynn Lauritsen. A visitation will be held on Friday, April 26, 2017 from 4-7 pm at Skinner Funeral Home – Turtle Lake and one hour prior to the service on Saturday. Funeral services will be held at 11:00, Saturday, April 27, 2019 at Parkview United Methodist Church – Turtle Lake. Lunch and a celebration of life will follow the service at the American Legion Hall – Turtle Lake, WI. A private family burial will occur at a later date.